Everyone loves a good, comfortable mattress to sleep on, regardless of how much time we spend in bed. With so much choice, however—and often being a pretty expensive purchase—buying a new mattress is almost never a simple decision. For those of us who have to spend extended periods of time in bed for medical reasons, the choice of mattress is even more important. Spending long periods of time in bed without moving around puts people at risk of developing bedsores. These are painful for the patient, and can be very difficult to manage. Pressure-relieving mattresses are essential for bedridden patients, and can help to both prevent bedsores and create an environment where it’s easier for them to heal. It’s time to examine this subject in more detail to find out more about these kinds of mattresses, and to find out which is the best mattress for bedsores. Come on—let’s get started—no lying down on the job! Cross-cut mattress design for excellent performance. Unique design to allow airflow through the mattress. Firm base layer prevents sagging. 8-inch high alternating air pressure mattress. Individual cells for even pressure distribution. Bedsores are also known as pressure sores, but the correct medical term is decubitus ulcer. They’re caused by maintaining a constant, unrelenting pressure on a particular area of the body. Research studies tell us that over time, constant pressure applied to a specific area results in reduced circulation to that area. The skin then doesn’t get what it needs in terms of oxygen and nutrients, and the tissue in that area becomes damaged and dies. To exacerbate the problem, the friction that occurs at the point of contact between the skin and the mattress can also contribute to skin breakdown and bedsores, and blood vessels that are stretched or stressed by long periods of immobility can also make things worse. Bedsores occur most commonly in areas where there isn’t a great deal of soft tissue such as muscle and adipose tissue between the skin and the bone. What Is a Mattress for Bedsores? Simply put, a mattress for bedsores is a mattress that’s specifically designed for people who are confined to bed on an ongoing basis. They can take the form of several different designs, with some being made of foam and others that work on air pressure, and consist of individual chambers filled with air. Others still can be based on chambers filled with water. These have been used since the 17th century to reduce pressure and reduce the risk of bedsores. Some of the air-filled pressure-relieving mattresses are known as alternating pressure mattresses. This is because they have individual air cells which inflate and deflate alternately, giving one small area a break from supporting the body while the surrounding cells maintain body positioning. Whatever the specific design, a mattress for bedsores aims to evenly distribute the pressure of the patient’s body pressing down into the mattress. Research published in the medical journal Age and Aging indicates that mattresses specifically designed for pressure redistribution can significantly reduce the incidence of bedsores. One high-quality systematic research review involving 29 separate studies on support surfaces for pressure sores found that both foam contour and air-filled pressure-relieving mattresses are effective in preventing and treating bedsores, but was unable to identify which of the two types of mattress was more effective. Who Needs a Mattress for Bedsores? Everyone who has to spend an extended period of time in bed, and particularly those who are unable to leave the bed or move around in it are at risk of developing bedsores. The constant pressure of the patient’s bodyweight means that certain areas are quite literally hot spots for bedsores, such as the heels, the hip/buttock area, and the elbows—if people spend a long time supporting themselves on their elbows. Using a good-quality pressure-relief mattress can help to decrease the risk of bedsores—and they can also prevent small bedsores from developing into large, open wounds which can be very difficult to manage in a bedridden patient, and can easily become infected. There’s no getting away from the fact that bedsores are very unpleasant, cause a lot of pain and can be very troublesome to deal with. In the case of a patient admitted to hospital, the medical staff should be aware of the risk of bedsores and take steps to prevent them. When caring for a patient at home, it’s essential to monitor the condition of the patient’s skin, especially in the heel, lower back and buttock areas, since these are the areas most commonly affected. Always make sure you set up and use your pressure-relieving mattress according to the manufacturer’s precise instructions. According to professional nursing guidelines, it’s important to make sure you know how to use a pressure relieving mattress correctly. For example, you may need to turn or reposition a patient periodically to get the best from a specific mattress. If you don’t have a clear idea on how to use a pressure-relieving mattress, seek medical advice. It’s still important to check for skin breakdown even while using a pressure-relieving mattress. Skin breakdowns can still occur. What Is the Best Mattress for Bedsores? When it comes to buying mattresses for bedsores, it can be a bit of a minefield. A few manufacturers dominate the market, which is frequently the case for products designed for a specific medical purpose. Some manufacturers offer multiple different models, and it can be quite difficult to choose between the various products—we’ve included two alternative options from the same company in our review. Here are our top contenders for the title of best mattress for bedsores. They’ve all been tested to the max with our rigorous review process, and we’ve listed all the good and not so good points for each model to help make it easy for you to see which one might be most suitable for your needs. This was a very popular mattress specifically designed to help prevent and manage bedsores. It features different levels of support in five separate areas of the mattress—with firmer support, for example in the hip area, since more weight is generally distributed to this area in lying. The cross-cut cell design impressed users, who found this allowed the top mattress to move as the occupant moves, reducing shear forces. The vast majority of people were very impressed with the comfort level and performance of this mattress. A few users, however, found it a little too firm for them—one or two reported they used theirs with a memory foam topper to address this. As the least expensive of the five mattresses, this is a good-quality mattress that also represents excellent value for money. Reduces friction and shear forces. Too firm for a few users. There are several factors that make this mattress a great option for many people. 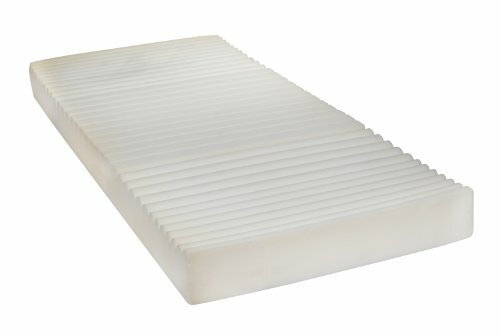 Based on a highly supportive foam core, it features a unique keyhole cut design to encourage maximal airflow through the mattress. On the whole, people liked this mattress a lot, commenting on the general good quality and high level of comfort due to the contoured foam core. One person found it was a very tight fit for their bed frame, so it’s important to check sizing. 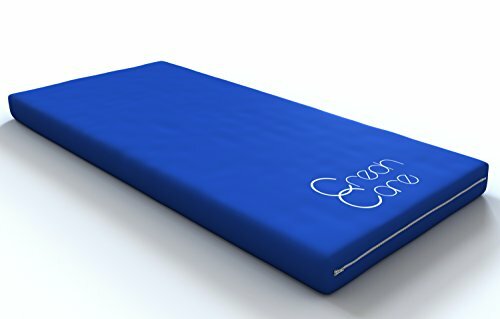 People reported that the removable cover made this mattress very easy to care for, and some noticed improved sleep as well as great pressure relief. This was one of the lower priced mattresses compared to the others we reviewed, so it’s not surprising that many people commented on the great value of this mattress. In summary, a great-quality mattress at an affordable price. Designed for use by patients up to high risk. Limited six-year warranty for foam. Limited two-year warranty for cover. May not be compatible with some bed frames. 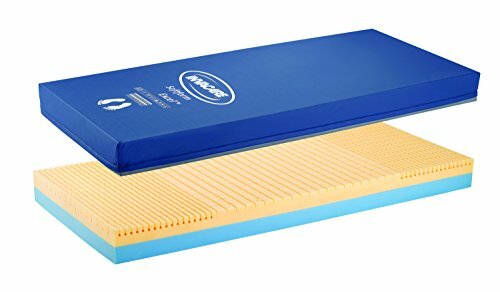 This mattress is cleverly designed, with a layer of very firm foam at the bottom followed by softer upper layers which add to the patient’s comfort. It’s designed to conform to the user’s shape so as to redistribute pressure evenly throughout the contact surface while also promoting blood flow and improving the circulation. Most people were big fans of this mattress. 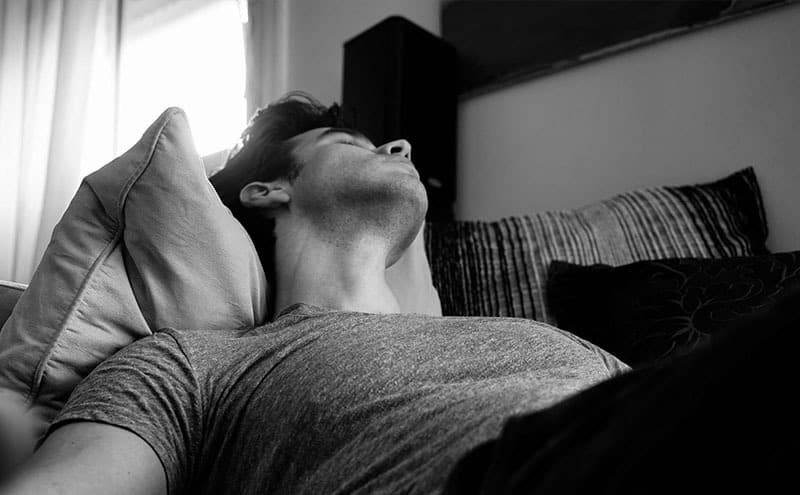 Many found it to be very comfortable and supportive, with several people noticing an improvement in the quality of their sleep, as well as improving the symptoms of bedsores. The only negative comment was that one person thought this mattress was a little on the thin side. Mid-range in terms of price among the mattresses we reviewed, people generally commented very positively on the reasonable cost considering the quality. Tiered layers for firm base support and comfort. Not thick enough for one user. This mattress is based on a supportive foam core and an exclusive contoured cell design to reduce pressure and provide a good level of support. Most people found it extremely comfortable, and several were surprised with how quickly the patient’s symptoms improved with this mattress. Several people also noted a decreased level of back pain after starting to use this mattress. People generally thought this mattress was excellent quality and extremely durable, and liked the fluid-resistant, easy clean cover. With a price tag near the top of the range of our chosen mattresses, however the majority of users thought this mattress was well worth the money. Suitable for patients up to very high risk. 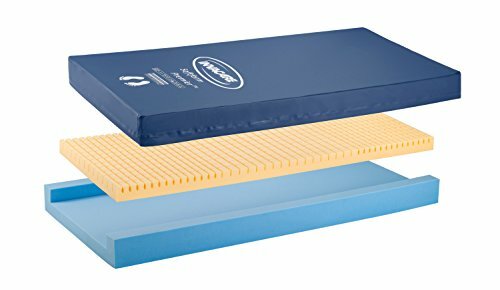 U-core foam for good support. Too firm for one user. This mattress is made up of 16 air chambers, and incorporates an air pump to maintain air pressure. Users were very impressed with this high-quality, durable mattress and found being able to vary the pressure level very useful and convenient. People reported that it’s very comfortable to sleep on, and the air pump was quiet enough for the majority of users. 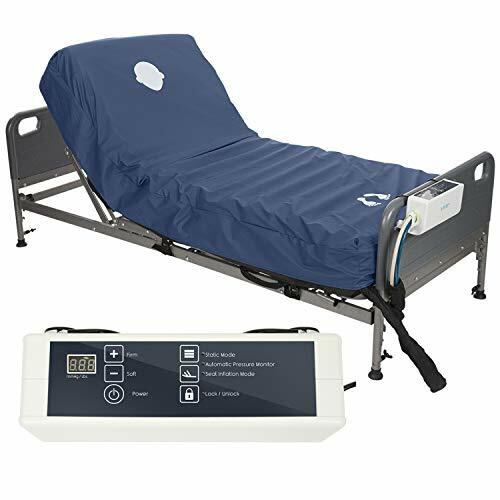 Several users said they felt this mattress did an excellent job at evenly distributing pressure, and were impressed with the improvement in patient’s symptoms. This was the most expensive mattress in our selection—at more than double the price of the least expensive, but most people were so happy with it that they thought it was worth every cent. If you or someone close to you is having to spend a lot of time in bed due to illness, it’s essential to keep a close eye on skin condition. Skin breakdown can occur very quickly, and a full-blown bedsore can be difficult to manage and slow to heal, especially if bed rest must continue. A good pressure-relief mattress can make a huge difference in reducing the risk of bedsores and in helping patients to recover from them. All of the mattresses we reviewed have some great features which make them very useful for avoiding and managing bedsores. The one that really grabbed our attention was the Drive Medical Therapeutic 5 Zone Support Mattress. People really liked the varied support across the surface of the mattress, and the vast majority reported that they felt that the support really was directed where it was needed. Users found this mattress very comfortable to sleep on and didn’t get too hot, which can be a problem for some people. The cross-cut upper layer of the mattress was also popular with users, who found it easy to move around with little friction or shearing force. People reported it was just as suitable for standard bed frames as the adjustable angle hospital beds. Certainly, this mattress was considered high quality by the vast majority of people, who thought it did its job very well. Just to put the icing on the cake, it was also the least expensive. We think a mattress to beat this one to the title of Best Mattress for Bedsores would be very difficult to find.